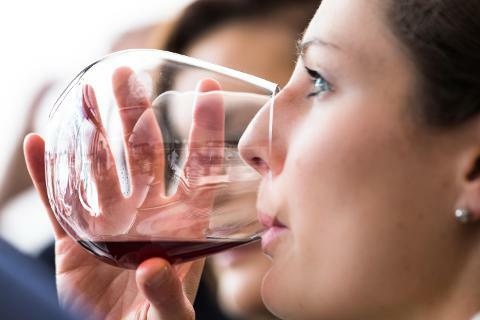 Our FULL DAY WINE TOUR will introduce you to some of Tasmania’s most interesting and invigorating wines. 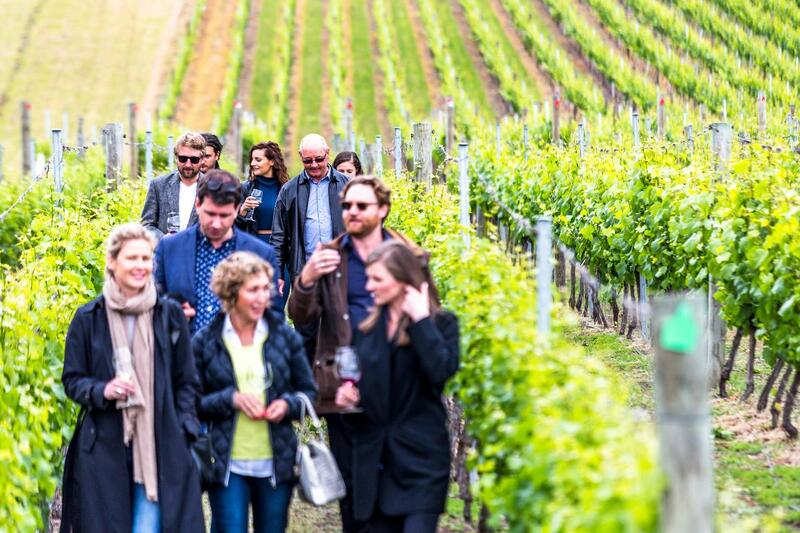 We will have the opportunity to meet some of the producers and growers, walk through the vineyards, learn about why Tasmania’s cool-climate wines are heralded internationally as some of the world’s best. And of course we will sample numerous varieties from new-world sparkling’s to old-world pinot’s and a swathe of styles in between. Wineries and cellar-doors we visit include – DOMAINE SIMHA / FROGMORE CREEK / PUDDLEDUCK WINERY / DOMAINE A / STEFANO LUBIANA / POOLEY WINES / COAL VALLEY VINEYARD / MORRILLA WINERY /HOME HILL WINERY. 1. After meeting your guide at the top of the ramp at Brooke Street Pier, we begin the day with a complimentary tea/coffee from one of Hobart’s finest barista’s at Bright Eyes over introductions. We’ll discuss Hobart’s infamous history dating back to 1803 and the role that alcohol played during settlement before having the opportunity to try our first wines of the day from Domaine Simha. We’ll also try some Huon salmon (it’s delicious!) before departing for our first stop. 2. Frogmore Creek – We’ll drive out to the stunning Coal River Valley, where our first stop is at Frogmore Creek. Depending on the time of the year and if the grapes are in season, we will take a close look at their vines, and perhaps taste some fruit before heading inside to the cellar door where Frogmore Creek’s friendly staff will take us through a full wine tasting, starting with our first sparkling of the day. 3. Puddleduck Winery – 5 mins down the road is one of our favourite boutique wineries in the Coal Valley. Puddleduck makes so few bottles per year, that they only sell it on their own premises. 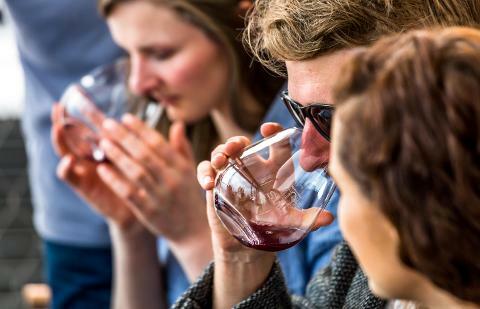 Reserved specifically for cellar-door sales, functions and tastings, this selection of 5 wines in paired with individual Tasmanian cheese platters, that make this wine tasting experience exceptional. Also there is a duck called Lucky, he is the mascot of the property and is quiet infamous for being photographed with guests. 4. Coal River Farm – After cheese and wine we head to one of the Valley’s newest establishments, the Coal Valley Farm where chocolate, strawberries and a whole array of fruits are on offer, being produced and grown on site for a true Farm Kitchen Lunch. After lunch, if the season and the weather is right, we will indulge in some strawberry picking, taking a punnet with us for the drive. You may or may not wish to take a glass of sparkling with you into the strawberry fields. 5. Stefano Lubiana – After lunch we head through Bourbon Creek and over the Derwent River to Stefano Lubiana Winery. Renowned as one of Tasmania’s finest wine producers, Stefano Lubiana Winery was established in 1990, as a boutique family-owned and operated company that pioneered Tasmania’s first and only certified biodynamic vineyard. 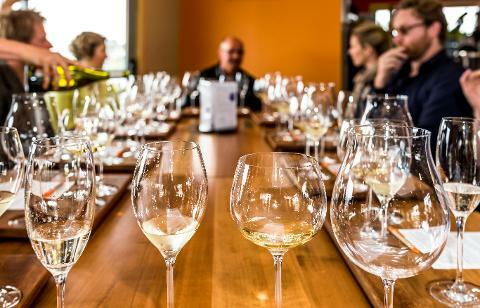 The tour will conclude back in Hobart at the Lark Cellar Door where you’ll have the opportunity to join any after tour drinks with the team and hear about the best places to dine and drink in Southern Tasmania. When: Every Wednesday, Friday and Sunday. Check the calendar for upcoming available dates. Approximately 8 hours. Where to meet: Brooke St Pier, Franklin Wharf, Hobart, 9am. You will meet your guide at the top of the ramp, inside the glass doors. End of Tour: approximately 5:30pm at Lark Cellar Door, 14 Davey St, Hobart (just 2 mins around the corner from Brooke Street Pier). Please note, while this is our usual itinerary, the venues may change slightly due to industry operations, in which case we may visit the equally enjoyable wineries of Domaine A, Pooley Wines or Coal Valley Vineyards, depending on availabilities. Visits to Home Hill can be arranged for Private Tours or as part of our Signature Tours. Start times are fixed, however end of tour times can change slightly depending upon traffic and other factors.